A new format for a publication have contributed to before, the Financial Times, this time a book review of Walter Laqueur’s last book (co-authored with Christopher Wall) in a title that seems appropriate for the end of the year. 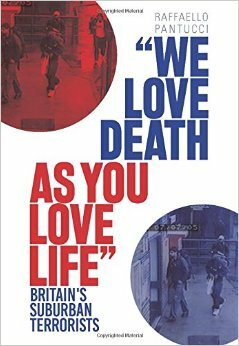 It is a good short primer on the topic of terrorism which is widely available and worth reading. In addition, spoke to Neue Zürcher Zeitung about Syria and France 24 about the recent attack in Egypt. The lull in the tempo of terror attacks offers an appropriate moment to consider what might be coming. Terrorism of one sort or another, with a shifting definition, has been a feature of organised society since records began. Where it will go next — radical environmentalists, extreme Luddites, fanatical religious adherents, or some fringe ideology yet to materialise — is the great question for those who study terrorism. The title of Christopher Wall and Walter Laquer’s book promises to provide an answer. In truth, The Future of Terrorism is more about the history of the phenomenon. Bringing together current trends in politics with their violent corollaries, it provides a concise narrative of the current state of terrorism, linked with history. Along the way, it rubbishes some sub-sets of terrorism research and reminds us that governments can produce the most destructive elements in a counter-terror campaign. Determining the underlying motives and causes of terrorism has always been difficult. “Scratch any ideology and beneath it you will find a terrorist,” claimed Edmund Burke in 1796 in his Letters on a Regicide Peace. However true this articulation, Wall and Laqueur demonstrate that it tells only part of the story. It does not always work in reverse: when digging into the personal lives of terrorists, it is often hard to find any ideological conviction. Typical cases involve mildly troubled individuals who use extreme ideology as a means of bringing structure and purpose to their lives. Genuine ideologues are fortunately rare — but lethally dangerous when they emerge, such as Anders Breivik in Norway. This is what makes terrorism so hard to eradicate. It is usually born from a wellspring of anger and disaffection founded on some basic failure or imbalance in society. But the people who advance it do not always seem to have a clear link to the ideology that they claim to be fighting for. And those that are selling it are very good at reaching out to a disaffected minority. Today’s extremes are nothing new; the concept of purifying society is something that has deep roots in our collective historical narrative. Worse than that, the authors write, “religiously inspired violence has always maintained an indelible apocalyptic flair”. This is a bleak future, where mainstream politicians advocate radical ideas that tear at the social fabric. And while it is likely that this overstates it, the authors highlight that while “terrorism will probably never end . . . its worst effects can absolutely be mitigated”. Not making hateful ideologies mainstream would seem a good place to start. This book may not sketch out the future of terrorism, but it is does an excellent job of showing us the long arc that brings us to where we are today.